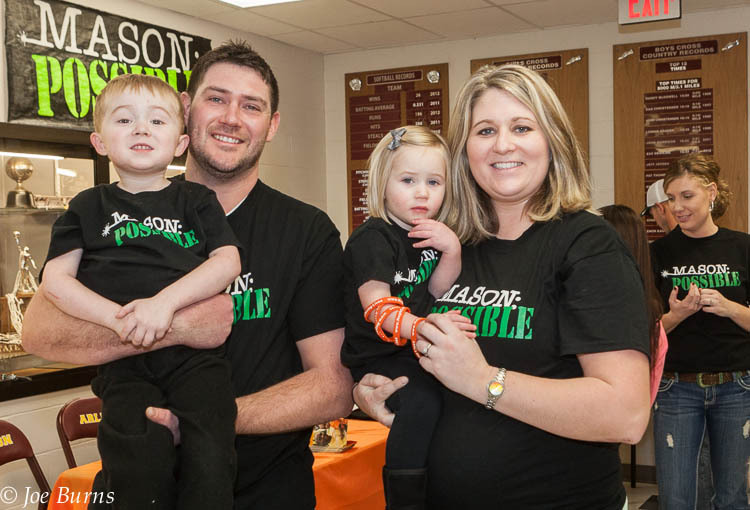 Brandon and Sara Hasenauer hold son Brandon and daughter Holly during the Arlington vs. Wahoo girls basketball game. Mason was recently diagnosed with a rare kidney disease. Arlington and Wahoo basketball cheerleaders and fans covered their school colors with black and green Mission Possible last Friday and raised $8,000 for the NephCure Foundation. Four year old Mason Hasenauer of Arlington was recently diagnosed with the rare kidney disease. Friends of the family planned the fundraiser. 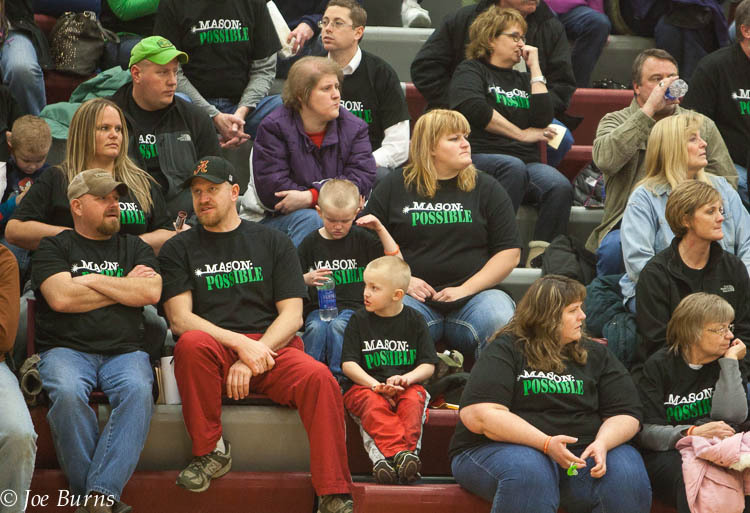 Both Arlington and Wahoo basketball fans wore black and green Mason Possible tee shirts during the Arlington and Wahoo basketball games.